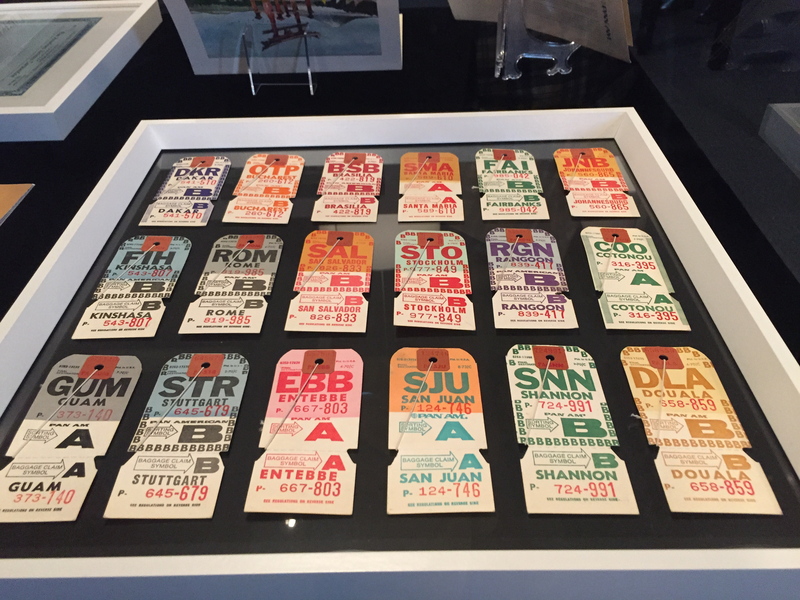 Pan Am Experience Tickets Now on Sale | No Mas Coach! Do you miss the golden age of travel? Tired of cramming yourself into your coach seat with almost no recline and a crappy meal service, if any at all? Well, we here at No Mas Coach sure do. Or at least we do when we’re not traveling first class. If your answer is a resounding yes, now is your chance to relive (or maybe experience for the first time) what it felt like to fly back in the day. Air Hollywood, a movie set in Pacoima, California, has done an amazing job of replicating the interior of a 1970s Pan Am airplane, when the company was in all its glory. We did the experience in 2015 and we loved it. You can read more about that here. 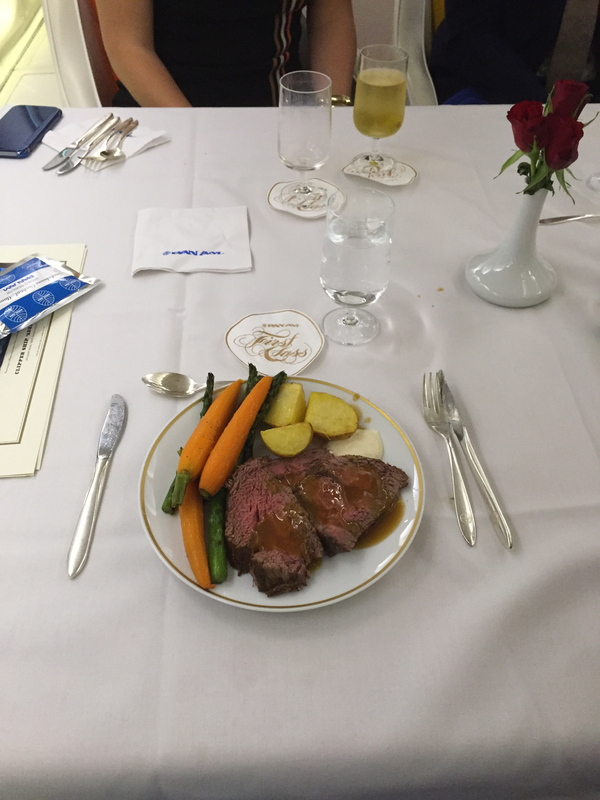 Passengers can book ‘flights’ in which they will be treated to a six course dinner which, in first class, includes bread, caviar, shrimp cocktail or Caprese salad as an appetizer, Chateaubriand, roasted chicken or vegetarian pasta as the entrée, a fruit and cheese and biscuit platter and Dessert Cart. The service also includes an open bar with drinks, soft drinks, coffee, tea, digestifs, and port wine. 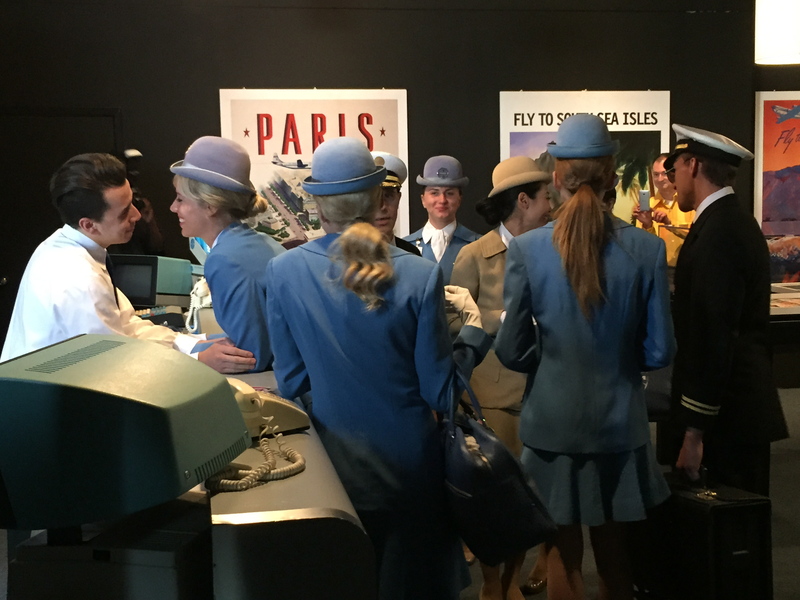 The Pan Am Experience starts at their check in counter, where customers receive their boarding passes and luggage tags, to later proceed to the Clipper Club where they can take a look at a mini Pan Am museum filled with memorabilia, artwork, uniforms and more. 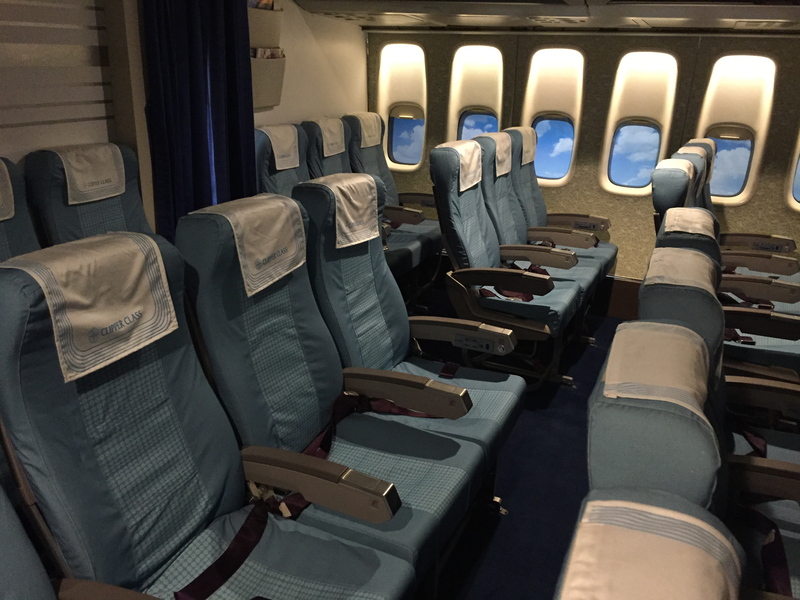 Once you board the Clipper Juan T. Trippe 747, the full experience begins with a tour of all the cabins, where you can appreciate what an airplane looked like in the 70s complete with full branding and layout from that age. After a brief, and funny, safety demonstration, passengers will be guided to their seats so that service can commence. 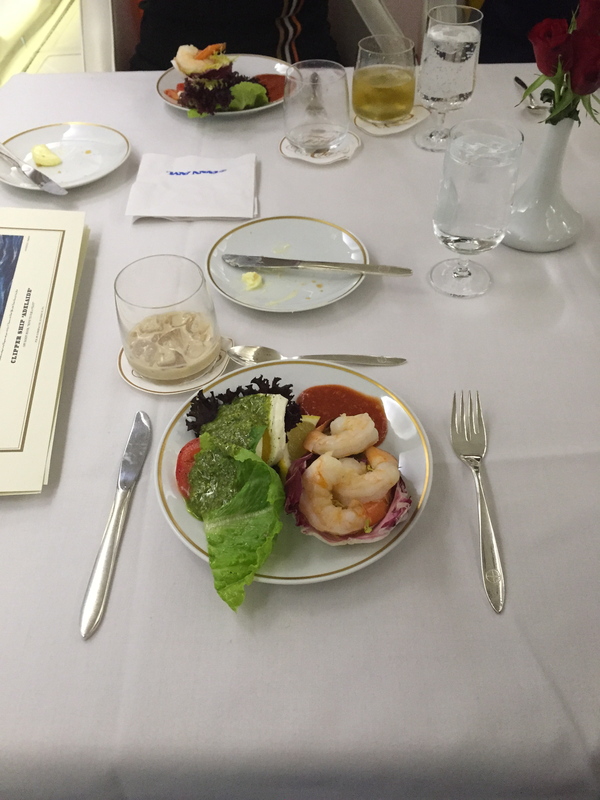 All their food is presented in original china from the airline, and the menu is in keeping with the era and menu offerings emblematic of Pan Am. At the end of the inflight experience, guests are invited to an optional tour of the Air Hollywood studio. Here, you can explore the different sets they use to shoot plane movie scenes, in fact, pretty much all scenes you have seen where the action occurs inside an airplane have been filmed here. Feel free to take as many pictures as you want. The Pan Am Experience releases tickets quarterly and seats do sell out pretty quickly, so if this is something you’d be interested, make sure to book now. Dates have been just released and available days are: April 8, April 22, May 6, May 20, June 3 and June 17. You can book here.